Happy Easter! There are several givens at Easter time: we will celebrate with our families, our kids will go on egg hunts, the Easter baskets will be found, and Peeps will come our way. I am not a marshmallow person and my kids are only to a certain extent. We usually somehow end up with Peeps, of which a few will be eaten and the rest will sit in the pantry for weeks. 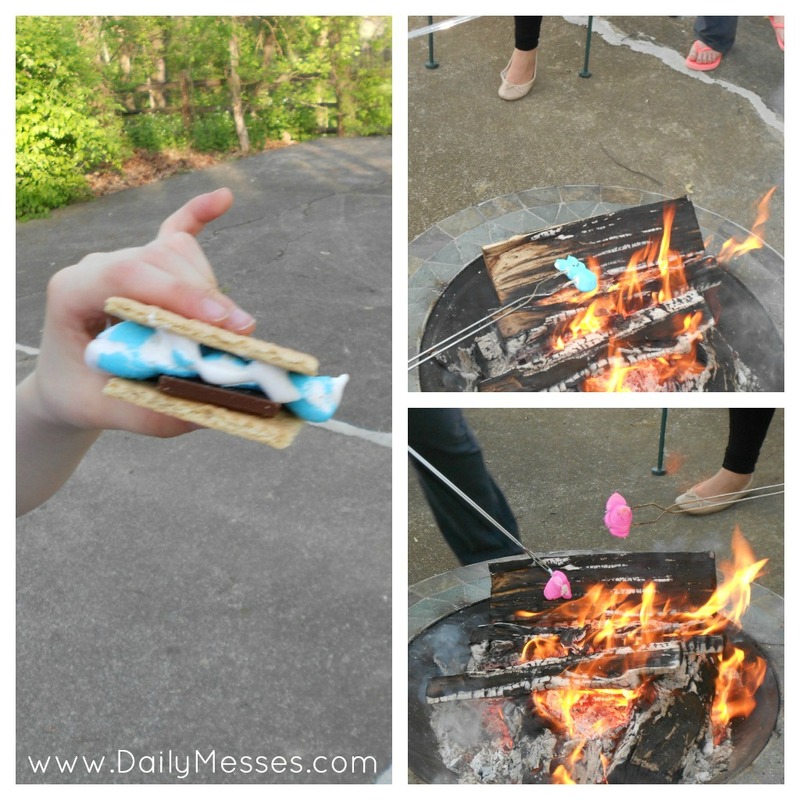 Last year at Easter, someone started a fire and brought out graham crackers and chocolate bars. We roasted the Peeps and made s'mores. I've got to say that it was the best way to eat a Peep! If you find yourself with extra Peeps this year, try s'mores!